A Wanaka couple have given new meaning to the term helicopter parents. Brad and Hannah Barrow's first child arrived in a rescue chopper on Wednesday night as they were racing towards Dunedin Hospital. 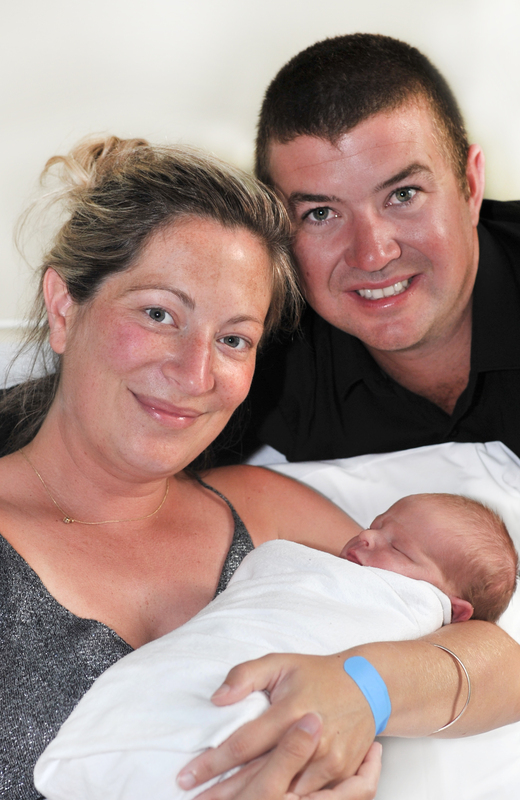 Lincoln Huxley Barrow, weighing 2.89kg, was delivered aboard an Otago Regional Rescue Helicopter, above Otago Harbour, after a bit of a long day for his parents. The couple left Wanaka about 7.30am on Wednesday, bound for Charlotte Jean Maternity Hospital in Alexandra. By that evening, Lincoln had failed to show, so staff made the call to take Mrs Barrow by ambulance to a waiting rescue helicopter in Clyde, bound for Dunedin Hospital. "We tried and tried until the point where it just wasn't progressing," she said yesterday from her bed in Dunedin Hospital. After a dash over the Rock and Pillar Range, she gave birth shortly before landing, somewhere above Otago Harbour at 8.14pm, and 10 days early. "He must have jiggled around, got in the right position and decided to make his debut." The 33-year-old graphic designer paid a glowing tribute to the staff at Charlotte Jean and those aboard the helicopter - pilot Clayton Girvan, midwife Sarah Pezaro and St John paramedic Anthony Hoets. "I was pretty terrified but the staff were unbelievable. The midwife, Sarah - she was awesome. "The staff at Charlotte Jean ... really were on top of everything." The helicopter crew were "ecstatic" to deliver her baby son in mid-air, she said. "They were so excited. When they came back to the hospital they were saying `look what we just did in the helicopter!'." Meanwhile, Mr Barrow (31) was about halfway through an anxious drive to Dunedin when he received the call with the good news. "I knew I was going to miss the birth when I was driving, but I got the phone call and I was chilled after that." The builder was even able to cut the umbilical cord, as staff had kept it fairly long off Lincoln's stomach. Otago Rescue Helicopter Trust founding pilot Graeme Gale said it was the third baby to be born in mid-air since the service's inception.